In the aftermath of Hurricane Harvey, many of our clients have questions about the newly enacted House Bill 1774, how it impacts the insurance claims process, the National Flood Insurance Program, and applying for federal assistance. This advisory is intended to provide information only and should not be construed as legal advice with regard to a specific situation. If you have specific questions, please contact us directly at 214-570-0700 or brooke@baalegal.com. I. Under House Bill 1774, do you have to file an insurance claim before September 1, 2017? Reduction of Penalty Interest Rate. The Texas Insurance Code requires insurance companies to respond to, investigate, and accept or reject insurance claims promptly. See Tex. Ins. Code § 542.003. The Texas Insurance Code allows claimants to collect interest on their claims as a penalty against insurance companies that are found by a court of law to have violated the requirements of the Texas Insurance Code. The Hailstorm Bill reduces the amount of interest you can receive from the insurance company on your claim after a successful lawsuit. If you file a written claim with your insurance company before the close of business on August 31, 2017, you can receive 18% interest per year on your claim if your insurance company violates the requirements of the Texas Insurance Code and you are successful in your lawsuit against them for those violations. See Tex. Ins. Code § 542.060(a). If you file your claim with your insurance company on September 1, 2017 or after, then the amount of interest is reduced to 10% per year. See Tex. Ins. Code § 542.060(c). The amount of reasonable and necessary attorney’s fees incurred. If you receive a judgment against the insurance company for at least 80% of the damages you claimed in your pre-suit notice, then the court shall award you all of your reasonable and necessary attorney’s fees. See Ins. Code § 542A.007). Insurer Election of Legal Responsibility. The Hailstorm Bill allows the insurance company to elect to accept legal responsibility for the acts or omissions of its individual insurance agents. This means that if an insurance company exercises its rights under this provision, your lawsuit will be against the insurance company alone and you cannot sue the individual insurance agent or agents for violations of the requirements of the Texas Insurance Code. See Tex. Ins. Code § 542A.006). II. 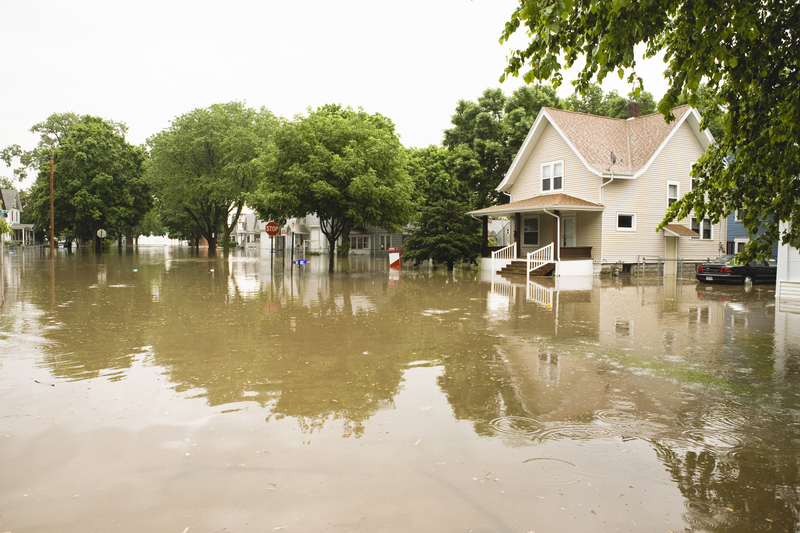 What is the National Flood Insurance Program? The National Flood Insurance Program is a division of the Federal Emergency Management Agency (FEMA) and is designed to reduce the impact of flooding on private and public structures. It does so by providing affordable insurance to property owners and by encouraging communities to adopt and enforce floodplain management regulations. If you have a flood insurance policy through your private insurer, more than likely it is operated through the National Flood Insurance Program. To file a claim under your flood insurance policy, you need to contact your insurance company and provide them with information about your loss just like you would for any other claim. Your insurance company will help you complete the necessary paperwork and inspections required by the National Flood Insurance Program. You can find more information about the National Flood Insurance Program by visiting https://www.fema.gov/nfip-file-your-claim or calling 1-800-427-4661. III. 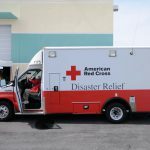 How can members of your community obtain federal assistance in the aftermath of Hurricane Harvey? Should members of your community need additional assistance, whether they have flood insurance or not, they can apply for disaster assistance with the Federal Emergency Management Agency (FEMA). There are currently four (4) ways to submit an application for disaster assistance with FEMA: (1) online at www.disasterassistance.gov; (2) over the phone at 1-800-621-3362; (3) at a local disaster recovery center (which you can locate at https://asd.fema.gov/inter/locator/home.htm); or (4) with a disaster survivor assistance team. The current deadline for filing an application for assistance is October 24, 2017. IV. Can members of your community obtain IRS tax relief in the aftermath of Hurricane Harvey? Yes. The IRS announced that taxpayers that live in areas designated by FEMA as qualifying for individual assistance have until January 31, 2018 to file certain individual and business tax returns and make certain tax payments. The tax relief postpones various tax filing and payment deadlines falling on or after August 23, 2017 and before January 31, 2018. Affected individuals and businesses will have until January 31, 2018 to file returns and pay any taxes that were originally due during this period. This includes the September 15, 2017 and the January 16, 2018 deadlines for making quarterly estimated income tax payments. It also includes 2016 income tax returns that received a tax-filing extension until October 16, 2017. It does not however include payments related to those 2016 returns. For businesses, it includes the October 31, 2017 deadline for quarterly payroll and excise tax returns. In addition, the IRS is waiving late-deposit penalties for federal payroll and excise tax deposits normally due on or after August 23, 2017 and before September 7, 2017, if the deposits are made by September 7, 2017. If your address of record with the IRS is located in the disaster area, the IRS automatically provides this filing and penalty relief. However, if you live in an affected area and you receive a late filing or late penalty notice from the IRS that has an original or extended due date that falls within the postponement period, you should call the number on the notice to have the penalty abated. Additionally, if you live outside the disaster area but the records you need to meet a deadline occurring in the postponement period are located in an affected area, the IRS will work with you. In this situation, contact the IRS at 866-562-5227. Currently, the following Texas counties are eligible for this tax relief: Aransas, Bee, Brazoria, Calhoun, Chambers, Colorado, Fayette, Fort Bend, Galveston, Goliad, Hardin, Harris, Jackson, Jasper, Kleberg, Liberty, Matagorda, Montgomery, Newton, Nueces, Orange, Refugio, Sabine, San Jacinto, San Patricio, Victoria, Waller, and Wharton. V. How can your organization make decisions that require board approval if all members of the board are not available? Many organizations’ bylaws include an Emergency Bylaws provision that describes how your organization can make decisions when the current environment does not allow for the normal Board review and approval of decisions. If your organization or board members have been affected by Hurricane Harvey to such a degree that normal board operations are not possible, your organization’s Emergency Bylaws allow your organization to make all necessary decisions to preserve its property and assist those in need in your community. It also does not apply to flood insurance policies that are operated by the National Flood Insurance Program. This amount was calculated on August 30, 2017 in accordance with the formula described in Tex. Ins. Code § 542.060(c), but this amount is subject to change as the interest rate determined under Tex. Fin. Code § 304.003 fluctuates. Download this client advisory here. Download this client advisory in spanish here.